Garth Illingworth (chair), Pascal Oesch (co-chair), Benedetta Ciardi, Stuart Wyithe, Jacqueline Hewitt, Jennifer Lotz, Rychard Bouwens, Guinevere Kauffmann, Fabian Walter. The past few years have seen enormous progress in our ability to observe and characterize the very early universe before the end of cosmic reionization after only one billion years. In particular, the installation of the WFC3/IR camera onboard the Hubble Space Telescope completely revolutionized the search for galaxies at redshifts z>6 leading to first galaxy candidates out to z~10-12, less than 500 Myr from the big bang. Thanks to large multi-wavelength datasets from the Hubble, Spitzer, and Chandra Space Telescopes as well as from 8-10 meter class ground-based telescopes, the early universe can now be studied in unprecedented detail. Additionally, ALMA is starting to probe completely new parameter space at radio wavelengths, promising revolutionary insights into molecular gas, dust, and dynamics at high redshift. z>6 galaxy and quasar searches are soon being pushed to new territory with upcoming deep NIR surveys covering several square degrees. At the same time, the first direct probes of neutral hydrogen before cosmic reionization are underway based on the redshifted 21 cm radio signal. Radio telescopes such as LOFAR, the Murchison Widefield Array (MWA), and the Precision Array for Probing the Epoch of Reionization (PAPER) are leading efforts in this exciting new field with the first generation surveys nearing completion. These projects are laying the groundwork for detailed studies with the SKA. Only by studying both reionization and the galaxies responsible will the full story of early galaxy formation be revealed. Reionization: The cosmic reionization epoch marks the last major phase transition of the universe from predominantly neutral to a predominantly ionized intergalactic medium. A number of observational results over the last decade are now providing increasingly strong constraints on when and how reionization occurred. WMAP polarization results place the beginning of the epoch of reionization at z~11, while measurements of the kinetic Sunyaev-Zeldovich effect from the South Pole Telescope provide constraints on its duration. Furthermore, Gunn-Peterson troughs in bright z=6-7 quasars indicate non-negligible neutral hydrogen at those epochs – flagging the end of reionization. Additionally, the growing number of spectroscopic surveys of high-redshift galaxies and Lyman-alpha emitters provide new constraints on the end stages of cosmic reionization due to significant absorption and resonant scattering of Lyman-alpha photons by neutral hydrogen. It is challenging to identify the main sources responsible for cosmic reionization due to the difficulty of directly observing ionizing radiation. However, current measurements of the luminosity function at z~6-8 to very low luminosities indicate that faint dwarf galaxies could be capable of ionizing the universe, if a large enough fraction of ionizing radiation can escape into the intergalactic medium. In the next few years one of our best opportunities to study reionization and the first galaxies will be provided by redshifted 21cm observations of the evolution in cosmic hydrogen ionization. 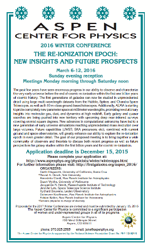 The long-term scientific goals for studies of reionization at redshifted 21cm wavelengths are wide reaching. Most current interest is in the auto-correlation of the 21cm emission signal with itself, which provides indirect information on the connection with the astrophysical sources of radiation via modeling. More direct information will be available through cross-correlation of the 21cm emission with the sources responsible for the reionization, or by imaging known ionized regions around high redshift quasars or massive galaxies. Galaxies in the Cosmic Reionization Epoch: Enormous progress is being made in exploring the properties of galaxies within the first 1 Gyr of cosmic time from the current generation of observatories. Thanks to several public multi-wavelength surveys from the Hubble Space Telescope (HST) extending up to 1.6 μm, it became finally possible to push the frontier of galaxies from z~6 into the heart of the reionization epoch. We now have very large samples of faint star-forming galaxies at z~7-8, with first candidates even out to z~10-11. For the first time, we can now directly study the build-up of galaxies in the end stages of cosmic reionization. In particular, the combination of deep HST and Spitzer/IRAC data now allows us to probe the growth of the galaxy stellar mass density starting from only 500 Myr after the big bang (at z~10) and to study the evolution of the spectral energy distribution of the first generations of galaxies over an unprecedented wavelength baseline and luminosity range. At brighter luminosities, the faint HST samples have been enhanced by the considerable capabilities of various wide-field imagers on ground-based telescopes like the Subaru Suprime-Cam (soon HyperSuprimeCam) or VLT HAWKI, and the vast array of new multi-object NIR spectrographs are being used to probe the Lyman-alpha emission properties of z>6 galaxies and confirm their redshifts. Significant progress is expected over the next years due to new surveys such as the Hubble Frontier Field Initiative, ultra-deep Spitzer/IRAC data, new HST grism programs, or extremely wide area NIR imaging surveys. The combination of all these datasets will reveal the detailed star-formation histories and halo occupation fractions for the first sources of light. Molecular Gas at High Redshift: While large NIR+mid-IR imaging surveys of high-redshift galaxies are beginning to reveal their star-formation and stellar population properties in great detail, a new era of radio observations is about to start the next revolution in early galaxy studies. The Atacama Large Millimeter Array (ALMA) is coming online now, hugely increasing the radio sensitivity relative to previous facilities. Already now several quasar host galaxies out to z~7 have been detected at radio wavelengths. However, ALMA is about to reveal the reservoirs of dense molecular gas (the direct fuel for star-formation) of normal star-forming galaxies in the early universe. For the first time, we will be able to explore the interplay between star-formation and feedback to regulate the efficiency with which gas is turned into stars in the early universe. Given the difficulty of confirming the redshifts of z>6 galaxies through rest-frame UV observations, ALMA may furthermore provide the best opportunity to measure redshifts for the first galaxies through molecular emission lines, and in principle it can even reveal their dynamical masses. This will open up completely new parameter space for constraining models of galaxy evolution at high redshift.